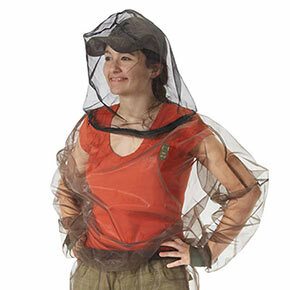 Want to work in your garden, but avoid those pesky insects and the diseases they may carry? 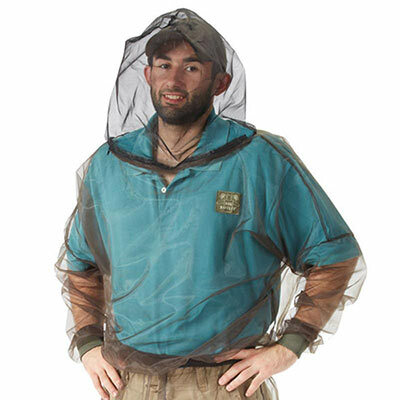 Our Insect Protective Hooded Shirt provides protection for your head, neck, arms and torso. Made of fine No-See-Um Fabric mesh, it protects against the very tiniest of bugs, including mosquitoes, black flies, ticks, bees, deerflies, no-see-ums and other flying insects. The shirt has a permanently attached roomy hood with a convenient zipper in the front neck seam for easy access to your face. Soft elastic bands at the hip and stretch knit cuff at the wrists are comfortable and keep the bugs away. 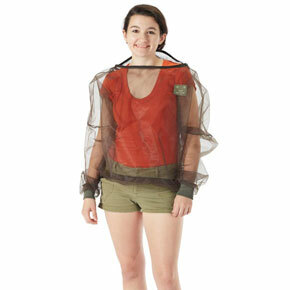 The hood is made of black mesh for improved visibility while the shirt is olive-green mesh. Lightweight and durable, it's easy to pack and to put on.